Introducing the Zoom Swimmin' Super Fluke Jr.! 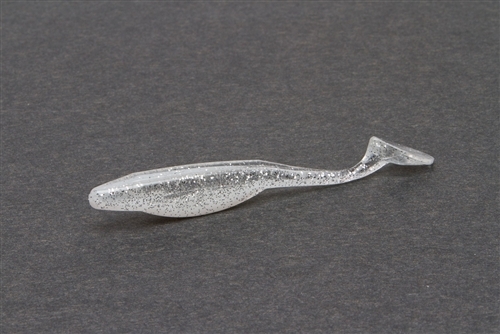 The Zoom Swimmin' Super Fluke Jr. is a true swimmer and is recommended for schooling bass or as a search tool that's handy for locating fish. For schooling bass, race the Zoom Swimmin’ Super Fluke Jr. back to the boat, just under the surface or, fish a weighted swimbait hook and swim it deeper in the water column. The Zoom Swimmin' Super Fluke Jr. is a phenomenal swimbait with a soft texture that makes it perfect for rigging with an exposed hook for weedless applications.